To introduce today’s isssue of Mind Power I’d like to ask you a question. Did you know that neuroscientists have deemed a Frenchman “the world’s happiest man”? What did he do to get that designation? How long did it take? And is there a faster way that you could do it? And, in this week’s “Check It Out”, I’ll share a fascinating Brain Health Evaluation you can take in 10 minutes to gain insight into the health of your brain. Also, this week’s “Sixty-Second Secret” is a simple little exercise you can use to increase your awareness. I hope you enjoy today’s issue of Mind Power. Last issue’s article (“THE Crucial Fundamental to a Well-Lived Life”) introduced the idea that a well-lived life is all about awareness. And, once you have a choice, you’ll always choose what serves you and drop what doesn’t. There’s a catch, though. You can only have a choice about what you create. And, whatever you create, you must create it with awareness. The meanings you assign to what happens. Choice in these four areas—if you could pull it off—would significantly change your life. You must, then, learn to create them with awareness. This means seeing yourself create them, as you do it—while, at the same time, seeing the consequences, as they happen. …and the meanings you assign to what happens. These processes were established by past (mostly childhood) experiences, and then run on autopilot, outside your awareness—for better or worse. Sometimes you create the feelings, behaviors, people, and meanings (and consequences) you want…and sometimes you don’t. …naturally and automatically create better outcomes. you assign to what happens. We need more awareness—or to just let it be okay when we create outcomes we don’t want. Who, then, you might ask, has this kind of awareness? How did they get it? How can you get it? Finally, is the price of getting this increased awareness worth it? For centuries the most effective method for increasing awareness has been meditation. Unfortunately, the awareness needed to exercise the choices I’ve described generally takes 30+ years of meditation—several hours a day. Talk about throwing cold water on your plans. An example: Matthieu Ricard, a Buddhist monk associated with the Dalai Lama, is said to have meditated for 50,000 hours. Based on scans of his brain by scientists at the University of Wisconsin, Monsieur Ricard been described as “the world’s happiest man”. I’m not surprised. Awareness creates choice—and choice increases happiness. Let’s assume, then, that Mr. Ricard clocked his 50,000 hours over 30 years. That’s 1,667 hours per year—an average of 4 hours 34 minutes every day. Honestly, who has time for that? How would you earn a living, get the kids off to school, watch Breaking Bad, use your elliptical for 30 minutes a day, watch the Grammies, and read this magazine. Other monks (who we assume are also on the short list of happy people) achieved significant awareness in “only” 10,000 hours. That’s just 90 minutes a day—for 30 years. Fortunately, science has also learned many things about meditation in the last several years. Advanced meditators like Matthieu Ricard, for instance, are making certain electrical patterns in their brains. This ability, as you might imagine, also takes years to master. These same brain wave patterns, however, can be created with modern technological methods almost instantly. In fact, that’s exactly what Centerpointe’s Holosync audio technology does. Holosync generates the same (permanent) changes in the brain as traditional meditation, leading to the same awareness, but much more quickly (in fact, about eight times faster). If you’d like to try Holosync for yourself and experience what it’s like to meditate as deeply as a Zen monk at the touch of a button, click here. 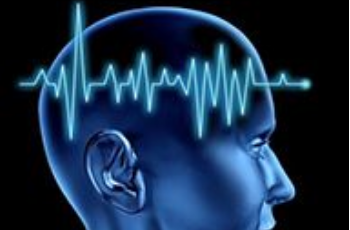 In a future issue, we’ll look at these brain wave patterns and how they create the awareness we’re looking for. Then we’ll investigate the amazing technological methods of creating them. This week I have something very interesting (and fun) for you – a 10-minute Brain Health Evaluation designed to help you discover which parts of your brain are underactive, and which are overactive. Once you know that, you can work on calming the overactive parts and enhancing the underactive parts. According to brain researchers, over- or under-activity in certain parts of the brain are involved in many human challenges previously thought to be unsolvable or quite difficult to solve. This is a fun and revealing exercise. Just answer 30 multiple choice questions, then click the submit button to see your results – and a recommended way to correct any imbalances you discover. Click here to take the Brain Health Evaluation. When you’re meditating (with your free sample of Holosync, I hope), you might wonder what to do with your mind. First, put on headphones (Holosync does not work without headphones) and sit in a comfortable place free of distractions. Next, direct your awareness to your toes. Notice any sensations: are they warm or cold? Can you feel your pulse? Do your toes tingle or itch? Don’t try to change any of this, just watch it happen with detachment, as if you were a scientist objectively watching an experiment. Then move your awareness from your toes to your feet and repeat the process of observing the sensations. Continue to move your awareness up your body, focusing on each area individually. Spend about 30 seconds on each area. At times your awareness will wander. This is normal. Don’t worry. Just notice that your attention has drifted, then gently bring it back to the area of your body you were focusing on before. This exercise trains your brain to maintain focused awareness by enhancing your prefrontal cortex. And as we know, awareness creates choice, and choice increases happiness. “I listened to the [Holosync] demo a few minutes ago. WOW!!! I haven’t felt this good in a long, long time! It’s amazing! I felt as though I was in a trance-like state when I finished. Heck, I felt as though I was going to melt and flow out of my chair before you even stopped talking. This is better than any anti-depressant! Now that my “trance” is wearing off, I feel more centered and relaxed and more like doing the things I need to do. Already, with only one session! Click here to try the Holosync demo yourself.